Make Smarter Decisions with accurate and efficient real time Amazon data. Develop strategies and research as you browse. Accurate Amazon seller software for Amazon product research, Amazon keyword research. Track rival products, and much more. Get instant product insights to evaluate your product niche. Gauge demand and sales potential of products. analyse the quality of product listing and get recommendations on how to improve it. Judge the buybox competition with total number of sellers for each product. Want to learn how to calculate the best price to sell a product based on profit margins? SellerApp gives you profitability of each product that will in turn help in choosing optimal pricing points and fulfilment modes. Track interesting products as you browse through Amazon. 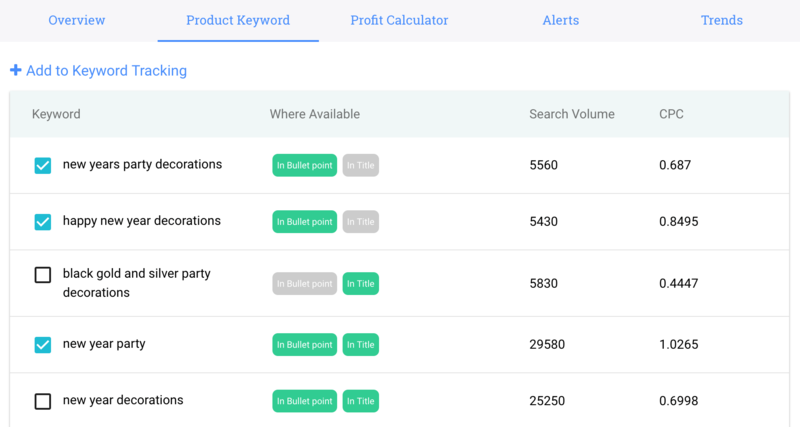 Using Product Keywords feature, understand their keyword strategies to get a hold of their most profitable keywords. 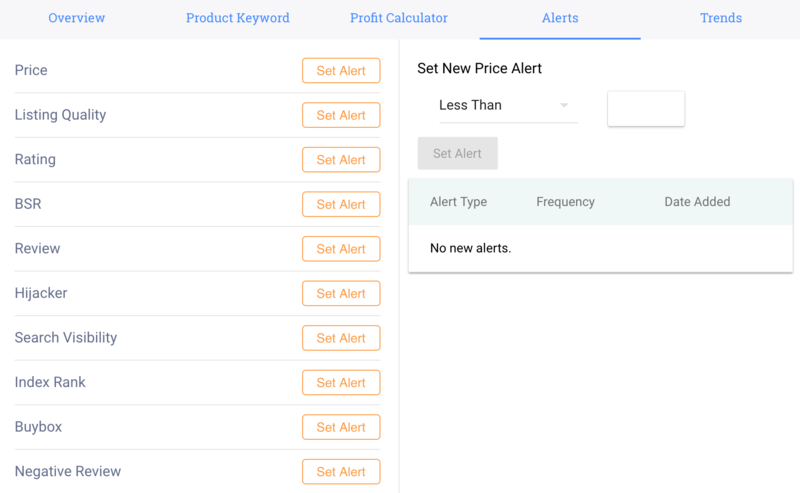 Get notified of their product strategies with customisable alerts. Take a look into their product listing quality with SellerApp’s listing quality index (LQI) that gives a peek into their product page strengths and weaknesses. Get the best keywords to increase product discoverability. Discover profitable keywords to attract more potential buyers. Get keyword suggestions which are highly relevant to your listing that could bring you great sales! Gain a competitive edge for your Amazon products by monitoring competitors’ pricing behaviour. 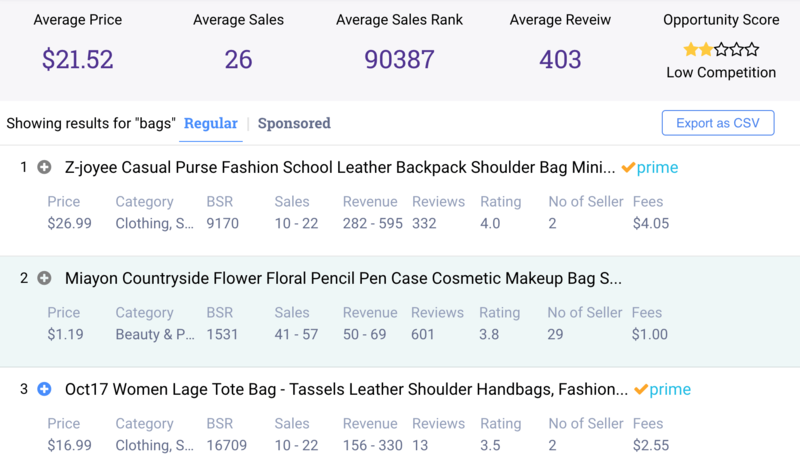 Track the review trends for products. Get notified for repricing strategies, ratings for Amazon products. What does the SellerApp Chrome Extension do? The purpose of the SellerApp chrome extension is to provide a user-friendly, efficient and accurate Amazon Seller Analytics. SellerApp extension helps you in Amazon niche research, keyword research, buybox trends and much more. Is this tool for new Amazon Sellers or more experienced sellers? It is everyone who is interested in selling on Amazon. It is for both sellers and non sellers, whoever is currently looking to sell products on Amazon to launch their Amazon business or just expand their product line and increase sales. SellerApp extension provides critical data to find the right product to sell and increase Amazon sales to make good profit. What is the difference between SellerApp Web App and SellerApp chrome extension? The SellerApp chrome app is made to ease your Amazon business at the go. The SellerApp extension gives you an overview of the product , the most critical data of the product you are currently viewing on the Amazon website. SellerApp web app on the other hand gives you a complete and detailed analysis of the product including the performance of the keywords, product ideas, list of keywords, listing quality etc by allowing you to track all the products on the web app itself. Will this work on my smartphone? Google Chrome apps and extensions are currently supported only on desktops/ laptops, tablets and ipads only. SellerApp Chrome extension currently supports only the US Amazon marketplace. We are looking towards expanding it other Amazon marketplaces soon.